De Margerie, 63, joined Total in 1974 after graduating from the École Supérieure de Commerce in Paris. He served in several positions in the Finance Department and Exploration & Production division. In 1995, he became President of Total Middle East before joining the Total’s Executive Committee as the President of the Exploration & Production division in May 1999. In May 2006, he was appointed a member of the Board of Directors. 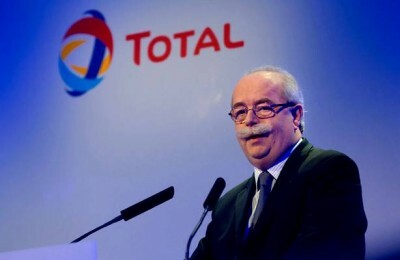 He was appointed Chairman and Chief Executive Officer of Total on May 21, 2010. According to preliminary data, the light aircraft collided with a snow-cleaning machine on takeoff, a source at the capital’s airport told RIA. The aircraft was sending distress signals while still in the air and reporting an engine fire and fuselage damage, LifeNews reports. Upon crashing on the runway, the aircraft was engulfed in flames, reportedly killing everyone on board. While initials reports suggested four people died in the tragedy, officials report that five bodies were found at the crash site, one allegedly being the driver of the snow-cleaning vehicle. Vnukovo Airport has temporarily suspended all flights following the incident. “A criminal investigation has been opened into the violation of safety regulations after a light aircraft crash in the capital’s Vnukovo airport,” transport official Tatyana Morozova told RIA. An investigative group is working at the crash site, Morozova added. In addition to people who were on board the plane, she said, the driver snowplow was killed. Christophe de Margerie, the CEO of Total (the world’s 13th biggest oil producer and Europe’s 2nd largest), believes “There is no reason to pay for oil in dollars.” Clearly, based onhis comments, that we have passed peak Petrodollar. Oil major Total’s chief executive said on Saturday the euro should have a bigger role in international trade although it was not possible to do without the U.S. dollar. So even a major beneficiary of the status quo appears to see the end in sight for the Petrodollar. Furthermore, despite Western-imposed sanctions on Russia that prohibit western financing and technology transfer to some Russian energy projects, Total is continuing to pursue a natural gas project in Yamal, a joint venture with Russia’s Novatek and China’s CNPC. “Can we live without Russian gas in Europe? The answer is no. Are there any reasons to live without it? I think – and I’m not defending the interests of Total in Russia – it is a no,” the Total boss told Reuters back in summer. And of course, it had to happen in Russia! “A Falcon airplane that was en route from Moscow to Paris collided with a snowplow while the jet was preparing to take off. The plane caught fire after the collision and all the people onboard – including a passenger and three crew members – died,” Krylova said.